We have featured the work of Sakiroo Choi in the past and not just for his awesome illustration skills but also for the unique look of his characters. Sakiroo created a new project, one that features all of the current Premier League managers, all in his very unique "bug eyed" style. 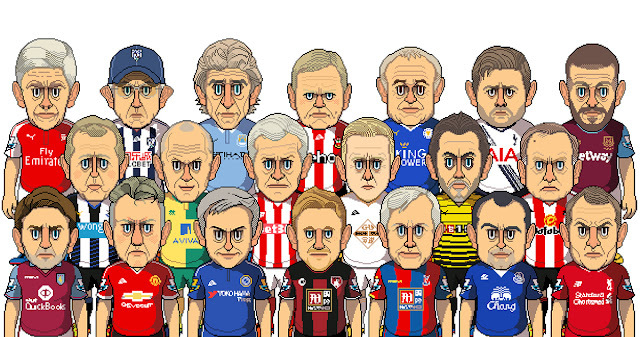 But to make it even more interesting, the artist decided to put the managers into the full kits of the clubs they managed, which indeed turned out quite funny.